Emerald Bay in Lake Tahoe is located on the California side of the lake, to the north of South Lake Tahoe on Highway 89. Emerald Bay is probably the most photographed and well-known part of Lake Tahoe. A state park is located here, as are many trailheads for hikes that lead either down to the lake itself or up into the high mountains that rise above the road. 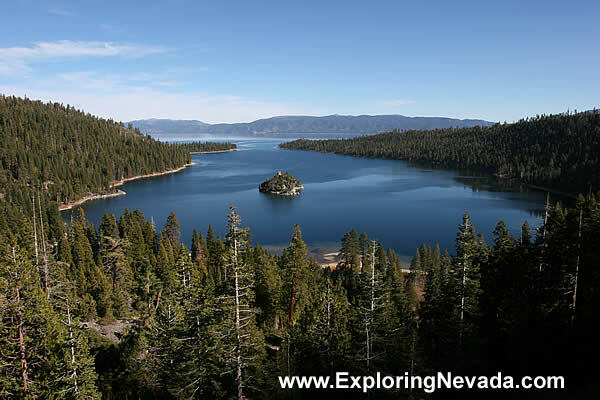 Emerald Bay also has a very nice scenic overlook.